Quinoa (pronounced ‘keen-wa) is having its moment in the sun, so to speak. Ranked highly in the healthy foods hall of fame, creamy-coloured, crunchy quinoa has gone from ‘keen what’ to ‘keen wow’. This ancient Andean staple is used like a grain but it is in fact a seed (scientific name Chenopodium quinoa Willd. Yes, it is two ls). And, unlike cereal crops such as wheat, oats, rye and barley, quinoa is a gluten-free complete protein, making it invaluble to vegans and coeliacs alike. Its fabulousness doesn’t stop there: quinoa is lower in sodium and higher in calcium, phosphorus, potassium, iron, magnesium, copper, manganese and zinc than wheat, barley or corn. Full of satiating fibre too. I don’t want to be a nutrition geek, so if you want to know more about this versatile, tasty and nutritious seed, click here. I will be a prep geek, however: rinse the grains well before cooking and ignore your packet’s cooking instructions. Trust me, unless you want quinoa porridge (which is actually quite interesting, cooked in apple juice), keep your fast simmering time to ten minutes and, with the lid still on, kill the heat and steam for a further five minutes. The ratio of quinoa to liquid that I use is 1:2. Should be perfect. When cooked the tiny buff coloured beads swell delicately and sprout a tail. That’s when you know it’s done. 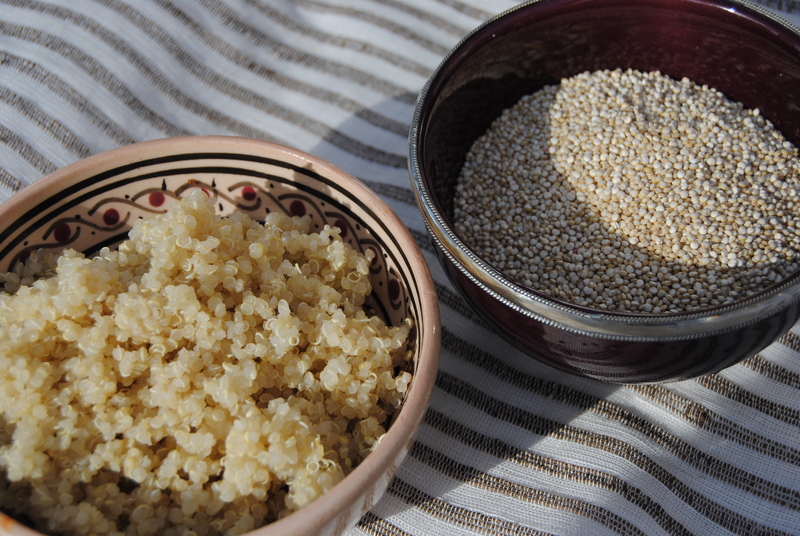 Quinoa has its own harmless bitter tasting natural pesticide on the surface. So, before you cook the quinoa pour your measured grains into a fine-mesh sieve and rinse for about 20 seconds, rubbing the grains between your fingers. Although much of the bitterness is removed during processing it’s still wise to give it a good rinse. Those who complain that quinoa tastes weird probably haven’t rinsed first. Sorry about the bossiness – you can tell I am a mother. The recipe below is a low GL take on fishcakes, with the added bonus of affordable smoked mackerel in place of more expensive crab or salmon. I make the cakes with cold leftover quinoa but you can of course make some up specially, cooling it before making up the cakes. I have used capers in this version but a heaped teaspoon of grated horseradish (English Provender Co. is good) and little dinky cubes of pickled or grated beetroot taste great and look pretty too. I use quinoa quite a lot so I hope to post some of our family and Maggie’s Centre favourites in the near future. This is my daughter’s favourite. What To Do: I usually do this in a food processor, quickly pulsing the mixture so as not to get a sticky mush, but you can certainly do it by hand – literally, squidging it all up with both hands. Pop the mixture into a bowl, cover and refrigerate for half an hour. This cooling time makes it easier to form into cakes. Now, form little cakes – mine are usually about 9 cm/ 3 in in diameter and 4.5 cm/1. 75 in thick but it’s up to you. If you do them my way you should get about eight or nine cakes. Pour the maizemeal onto a plate and, as you form each cake, pat it into the maizemeal, gently rolling it on its side to completely coat. Place the coated cakes on a cool baking sheet or plate. Now, heat up enough oil to coat the bottom of a large frying pan generously but not more than a few millimetres. Sprinkle in a few grains of maizemeal and, if they sizzle, you’re good to go. Put some of the cakes into the hot oil, making sure not to crowd them as this reduces the heat and makes for soggy cakes. Cook the cakes until they are very golden brown; turn carefully to prevent them breaking. Because the fish and quinoa are already cooked you don’t have to go too dark. When this batch is done pop them onto a paper towel-lined baking sheet and into a warm (120C/250F) oven. Cook the remaining cakes. Serve with a sharp green salad, some oven-baked sweet potato wedges and the following simply-prepared sauce. Mix well and serve with fishcakes. This is my first post of my first blog (late adopter!). Thanks for visiting and I hope you come back soon to see if I get any better. I think I’ll do a late winter soup next. Until then, make it homemade. Wow, Kellie! These look great and I can’t wait to try them. Do you do your own photography? Beautiful pics! Thanks Julie. Let me know if you make them and how they turned out. My photography skills are hit and miss, but I am glad you like them. 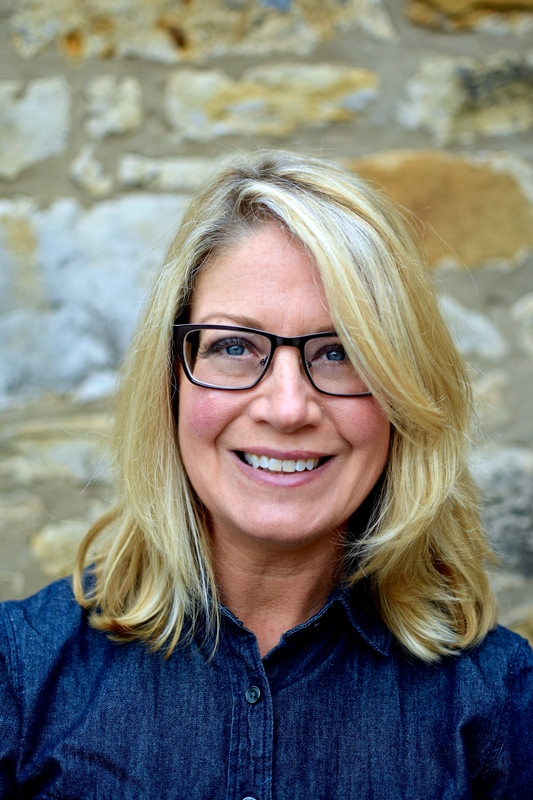 Kellie – Congratulations on your new blog! It’s fantastic. I love your photos. You must have a super-special camera—LOL. Keep up the good work. Thanks Dad. Yeah, it IS a great camera – wink! Sounds great! 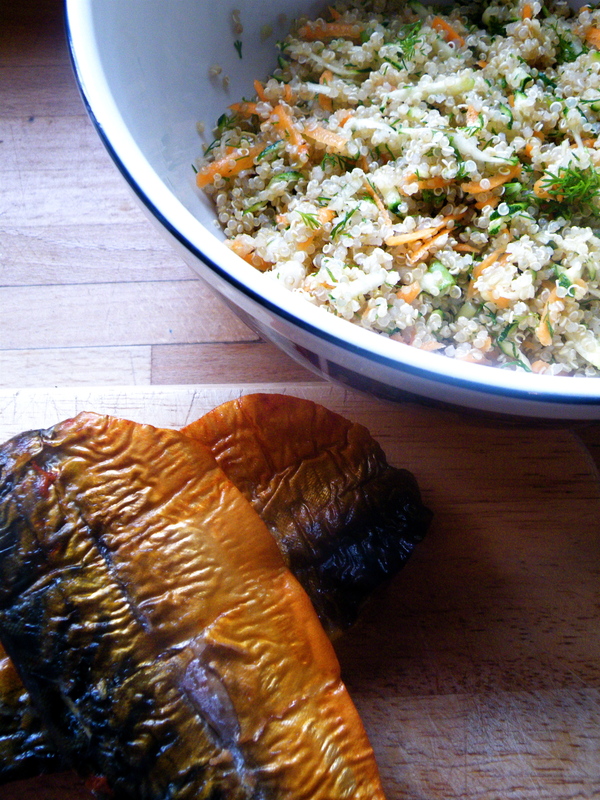 It will be served chez Fulton this week – using the quinoa Grand dad brought back from Peru circa 4 years ago! Nah, don’t worry I may lash out and buy a new bag now I know what to do with it – thanks! Use the Peruvian quinoa! It should be absolutely fine and is probably one of the coloured ones (I think the red kind is tastiest, but hard to get). Tell me how it cooks up. I wonder how it compares with the kind we get here in Edinburgh? Your recipes have the WOW factor but not only the recipes have it, your sense and style of humour just shines through. Anyhow, I’m gonna try the “keen-wa” as soon as I’m going to be in. I have it in the cupd. but not the Peruvian. Oh thanks so much ChileQueen. I would love to hear your feedback if you try the recipe. My friend with the Peruvian quinoa didn’t have capers and had the brill idea of adaptingthe recipe for sushi! Very clever. I bet your ground guajillo chillies would be gorgeous in this recipe. Having decided to eat less meat I will be consulting your blog for new ideas. I will try to oblige with plenty of vegetarian and fish ideas for you. I think tomorrow may be turkey meatloaf with homemade barbecue sauce. Scientific studies have found that ‘white meat’, like chicken and poultry, don’t have the same potential problems as red meat – it’s the haem iron that may be the sticking point, not the saturated fat. Hope you enjoy the recipes and the chat. A great way of using quinoa – I agree the red is the tastiest. Think I whizzed the mixture too much as I had problems with them falling apart. Kids gave it a thumbs up so all in all a success and so…. healthy! I know, they can fall apart a bit, especially if we’re really hungry and I’m hurrying things along too much. Next time add a small beaten egg and let it sit in the fridge for 15 minutes or so. That should do the trick. Great quinoa cakes! I made some quinoa and salmon cakes from the cookbook Ancient Grains for Modern Meals and they were quite yummy. Only problem was that they were a little on the crumbly side. Your dill sauce looks delicious too! These don’t fall apart so I hope you have a go at them. Lightly smoked mackerel has a slight stickiness that, combined with the natural stickiness of mushed up quinoa pretty much guarantees a tidy, neat cake. I give them a squeee while I’m combining them for further insurance. I also tend to bake them rather than fry them as the natural oils do cook them rather well with just a little slick of oil on a baking tray. Thanks for commenting, Elaine. Love your blog! …I’m in Sweden & believe me, I know all about limited daylight to take food pics in the winter!! I’m crazy about mackerel, so these fishcakes are perfect for me!! I just wish they had mackerel week once a month, I’d buy in bulk!